When journalist and book author Daniel Pink tweeted the above image the other day it provoked thinking about what real learning means and what it takes to achieve it. We produce enormous amounts of knowledge, yet struggle to put it into use, but we also teach much and learn little because the systems we’ve designed for education and experience don’t match our expressed interest and rhetoric around learning. In my graduate course on behaviour change I would ask students on the first day why they were taking the class in the first place. Aside from the few students for whom the course was required everyone else was doing it by choice because there were many others to choose from. So why would they choose this one? The answers would vary, but inevitably I’d hear over and again that students love learning and wanted to understand more about behaviour change, because they were interested in change and some would even say they were good at it and wanted to help others do it. These are all well-meaning and said in a spirit that I think was honest and true. Except the reality is that it is likely a big, huge lie and one that we all share in its telling. The only people who regularly welcome change are babies with soiled diapers. To illustrate the first point I simply ask people to consider the last conference they went to where there were options on what sessions to attend. How many of the sessions did they attend that featured content that confirmed or gently extended what they already knew versus content that was new? If you’re a health promoter doing community engagement work, sessions on Bayesian modelling for epidemics might offer far more learning than a session on working with diversity in communities (particularly if that is what you already do). Even more, how often do people go to sessions from people they know or have already seen speak? Chances are, many. One could argue that there are subtleties that a conference presentation might offer on a familiar topic that are worth attending and while I would say that has merit, most learning that has impact is uncomfortable at some level. It extends our thinking, challenges our beliefs, or re-arranges our worldview — in ways small and large. Many people will say “I love change”, but that is usually in the context that everyone else is changing, not them. When I was the boss and said “things must change” it was very different than when my staff or my boss would say “things must change“. As a behaviour change educator and intervener, I need to be mindful of my own ironies and resistance to change. So should we all. The same thing goes for knowledge. Academics are famous for ending studies with “more research is needed”. We never seem to have enough knowledge. There are two problems with this idea. The first is that, in dynamic and evolving environments, we will never have perfect knowledge that fits like a glove, because the contexts are always novel. This isn’t to say that evidence isn’t useful, but ‘good enough’ knowledge might be a more reasonable demand than ‘best evidence’ in many of the situations where complexity is high and so is change. That’s why data gathering techniques like developmental evaluation aren’t attractive to those who need certainty. But there is another problem with the knowledge quest and that is one of integration. In our efforts to seek more knowledge, are we integrating what we are learning from what we already have? Are we savouring the data we collect, the articles we read, the Tweets and blogs that get forwarded are way? We quest for more, but should we quest for better? A newly published paper synthesized research on event horizons on memory and found that shifts in activities around an event — boundaries — can prompt forgetting and recall. We remember transitions between activities, but they also prompt forgetting depending on the mindfulness associated with the act. When we are deluging ourselves with more data, more media, more everything, we are increasing the potential remember rate, but due to the volume of content, I would surmise that we are increasing the forget rate much more. Simply reflect on your high school or undergraduate education and ask yourself if you remember more than you forgot about what you learned. We are so busy with our search for new knowledge that we interrupt opportunities to learn from what we have. Returning to the tweet from Dan Pink, it’s worthwhile considering what it means to learn and the systems we have in place to facilitate learning. The tweet links to a discussion of how German companies give their employees five days of off-site continuing education each year. This concept of Bildungsurlaub is a leave designed to allow employees to stretch their thinking and integrate something new. Not only is off-site learning important, but the time associated with integrating material is critical. A read of the literature on innovation and research shows consistently how time off, quiet time, slow time and down time all contribute to discovery. Robert Scott Root-Bernstein’s brilliant Discovering, Jonah Lehrer’s Imagine, or Steven Johnson’s Where Good Ideas Come From are all books that dive deep into creative production and show that great discoveries and innovations come from having time (with limits) to integrate material to learn. Freedom to create, explore and sit and mindfully reflect are all united concepts in the pursuit of good learning. Not everything requires this, but big concepts and bold ideas do from mathematics to science to social science and philosophy. Yet, at an organizational and systems level, where is the support for this? Even university faculty (the tenured ones at least) who have generous vacations and sabbaticals are finding themselves crunched for time between the fight for one of the ever-fewer grants, increasing numbers of students and teaching demands, and the added push to ensure knowledge is translated. The image of faculty sitting and reading and thinking is truly an imagination. Most of my colleagues in academia do little of this, because they are out of time. In the corporate and non-profit world this is worse. Every hour and day is to be accounted for. The idea of sending people off to learn and to think seems anathema to productivity, yet research shows incredible powers associated with taking a break and doing less and not more. To illustrate the scope of the problem, the University of Toronto holds one of the finest academic library systems in the world and has over 11.5 million books and 5.7 million microform materials. It is one university (of many) in one city. Add in the local Toronto public library system, the network of universities and other libraries it is connected to, local and global bookstores and all the content freely available online that is not part of this system and I challenge anyone working in social innovation or public health to say with conviction that there is a lack of knowledge out there on any important topic. Yes, we don’t know it all, but we don’t do nearly enough with what we do know because there is so much. We will not read it all nor can we hope to synthesize it all, but we can do much with what we have. 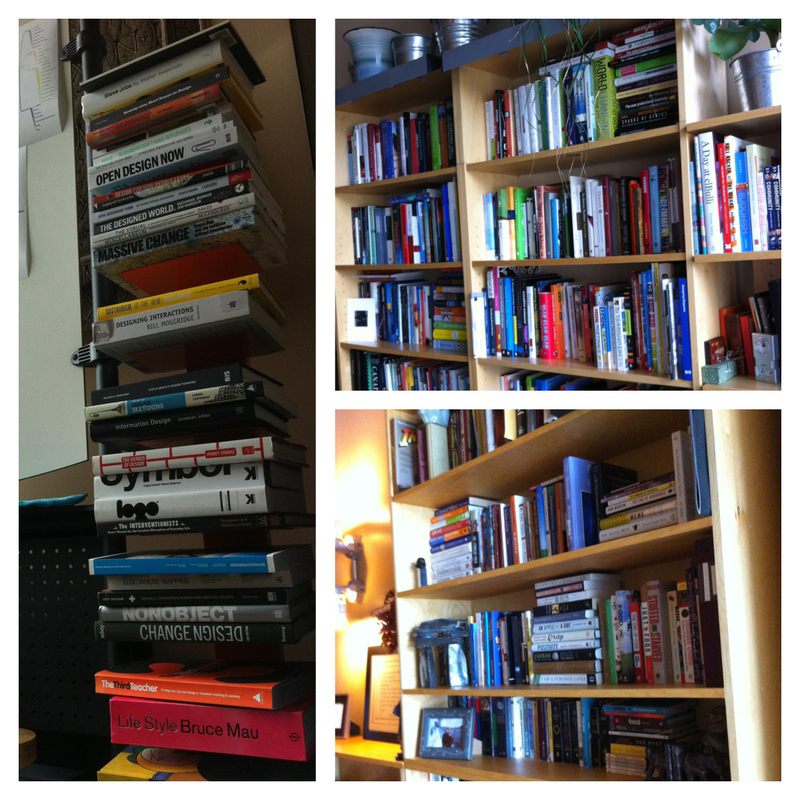 Just looking at my own personal library of physical books (not including all I have in the digital realm between books and papers) it’s easy to see that I have more than enough knowledge to tackle most of what I am facing in my work. Most of us do. But do we have the wisdom to use it? Do we have the systems — organizations and personal — that allow us to take the time and soak this in, share our ideas with others, and be mindful of the world around us enough to learn, not just consume? When we spend as much time creating those spaces, places and systems, then we can answer “yes” to the question of whether we’re serious about learning. Lots to think about here, and two issues relate for me – 1) Many of the answers are cultural, not institutional or organizational. Organizations once gave us several weeks of dedicated training a year – in my career anyway. Culture is what changed – and not for the better. We accept the total instrumentality of the time-managed organizational culture now. This cultural changes has been a loss in terms of a humane orientation to our work lives and meaning. Perhaps in a developmental arc with the Internet, we have more knowledge, and less time to formulate wisdom. The deepest learning occasions I’ve had were those that invested a week or so of continuous contemplative time. During none of those memorable times was I online.